Will I be next? My blog is nothing but Holocaust denial. Dear readers: You must get over the idea that the Jews were good and the Nazis were bad. The Jews were lying, stealing and cheating, while the Nazis were trying to save Germany from the Jews. 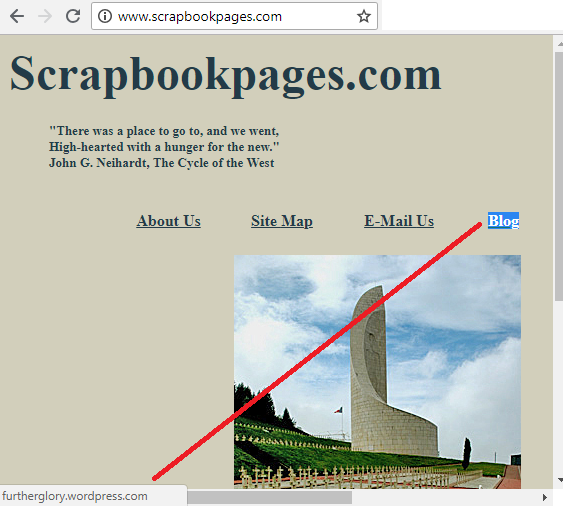 The Holocaust denial website "Scrapbookpages.com" is known for masking itself as a mainstream Holocaust/Nazi crimes website. This was less obvious about 10 years ago, when the owner of the website was dropping Holocaust denial hints here and there (like including the subtle references to the Leuchter report in the "title" HTML tag) and gathering all the usual stuff from the margins of the Nazi period history that the deniers are so fond of, presenting it in a deadpan manner designed to cause "doubt" among the less aware. Since then the "hints" on the website itself have become much more blatant, with the author sometimes openly linking to deniers' articles. So, more people have been noticing. The links to the website appear to have been mostly scrapped from Wikipedia (and that they had been there in the first place shows one of the main problems with wiki - seems like it's easy to fool an average editor). I was no more than 6 years old when I first learned about the Gypsies. [The correct term for these people is Roma and Sinti.] The word Gypsy comes from a term that was made up for them because, traditionally, the Gypsies don’t work — they gyp people. The Gypsies were also accused of stealing children; that’s why my mother warned me to beware of Gypsies. Years ago, when I went on a tour that was led by a Jewish tour guide, I was warned to wear my backpack in the front, so that Gypsy fingers would not find their way into my backpack. The poor innocent Gypsies were Holocausted by the Nazis, for no reason at all, the same as the Jews. This is her usual style. Also see: CODOH zombies on the Holocaust-denying Scrapbookpages website and its blog. I go there and post comments to annoy her and her disciples. It's fun. forefront, back when I first started commenting there she was more subtle. A lot of well-known deniers post comments there, Germar Rudolf, Fritz Berg, Jim Rizoli, Toben, Carolyn Yeager, Jett Rucker. Even the Wabbit makes an appearance now and again. In other words, a dumpster fire of a blog/site. 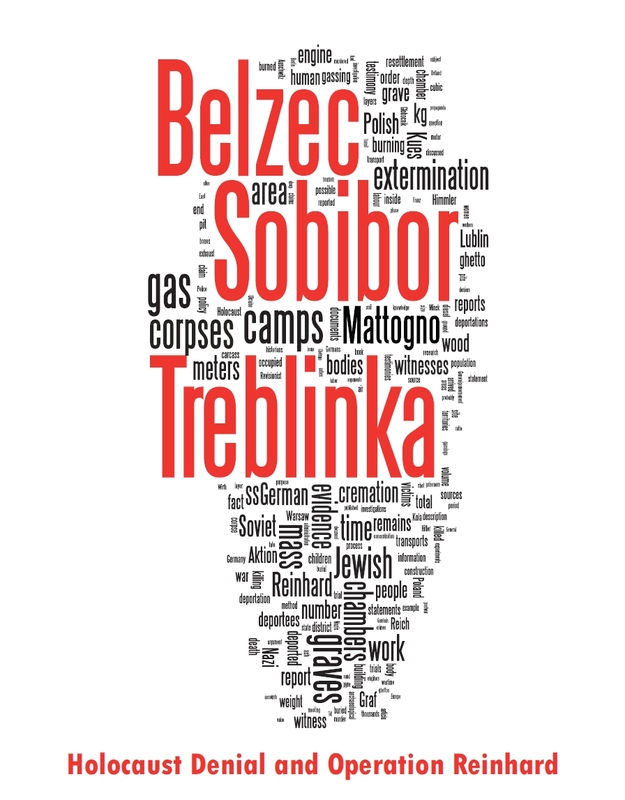 She just posted something on Treblinka. She has a tendency to repeat herself. 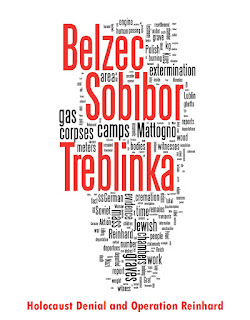 "was Treblinka, a camp in Poland where it is claimed, by Holocaust True Believers, that millions of Jews were killed"
I made a point of showing her that she was incorrect on this. She tried to pass it off as "True Belivers" believe this. I corrected her again. There is much babbling about Krege going on now. She seems to be a few sandwiches short of a picnic, like Hannover. J Kelly, she obviously also can't provide any evidence of the resettlement. None of them can. Mattogno et al. were unable to cite any evidence of it in their comical non-response to our destruction of their pile of pulp - which means that they lost by default, everything else notwithstanding. It's a sine qua non of the HD. Baugher is apparently utterly unaware that very few transports did pass the AR camps on their way elsewhere (not to the Soviet territories). She's around 83 now so she'll probably die as stupid and ignorant as she is now. So just to name the elephant in the room, am I correct in assuming scrapbookpages and furtherglory are run by Carolyn Yeager? No, her name is Gen Baugher. Yeager doesn't have the brains to be subtle. 1. Consider dropping the incorrect "11 million" meme. 2. The Magirus photo does not show a homicidal gas van, at most a disinfestation van. There are no known photos of gas vans and there were no known gas vans captured by the Allies. Also, most of your links are in some unclickable state. Thanks, I have added your link to my post in question. Well, it is a meme, a made up one and an incorrect one at that. The 11 million number shouldn't be used. It is based on the idea of 5 million non-Jewish victims which was a Myth created by Wiesenthal. Or more then 5 million. I.e. Example Robertos calculation. 1. Any unit of cultural information, such as a practice or idea, that is transmitted verbally or by repeated action from one mind to another in a comparable way to the transmission of genes. 2. (Internet, slang) Something that is copied and circulated online with slight adaptations, including quizzes, basic pictures, video templates etc. 11 million is a classic meme (the first meaning).